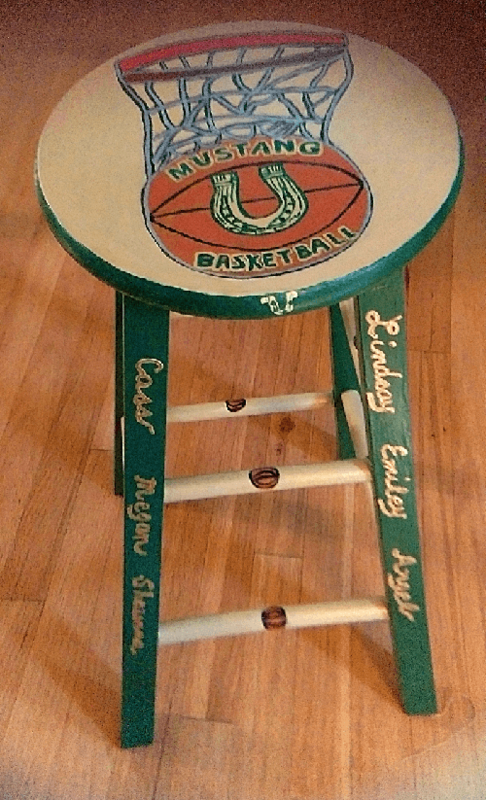 If Ordering The Above Stool In This Design Just "Add To Cart"
For the sports lover Clearly Susan offers hand painted stools for sale with a sports theme that will please any man. 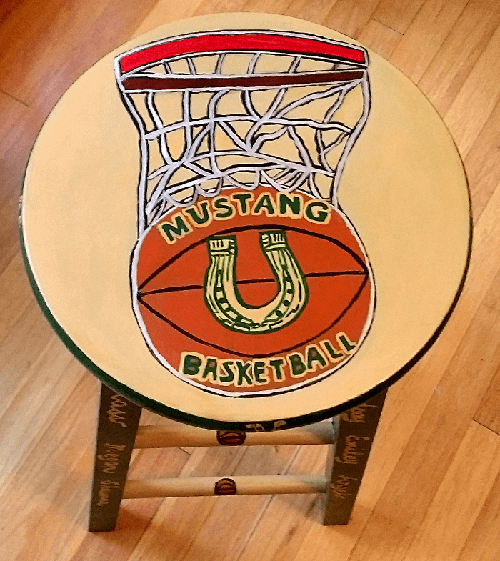 This particular hand painted stool in a basketball design would look fabulous in any man's cave. We hand paint any sports team logo or sports design that you like and will personalize it just for him. Be sure to check out product features about the specifications of the stool itself. We offer two sizes in 24 in and 30 in., round or saddleback. Just be sure to make specifications which stool you want in Special Request Box. We paint any design you request in fine acrylic paint. 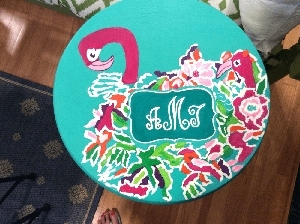 Once the painting is finished then the custom painted stools are sealed several times with a Polyethylene finish, and our wooden stools are of simple, sturdy construction from our unfinished furniture collection.